240 pages | 14 B/W Illus. 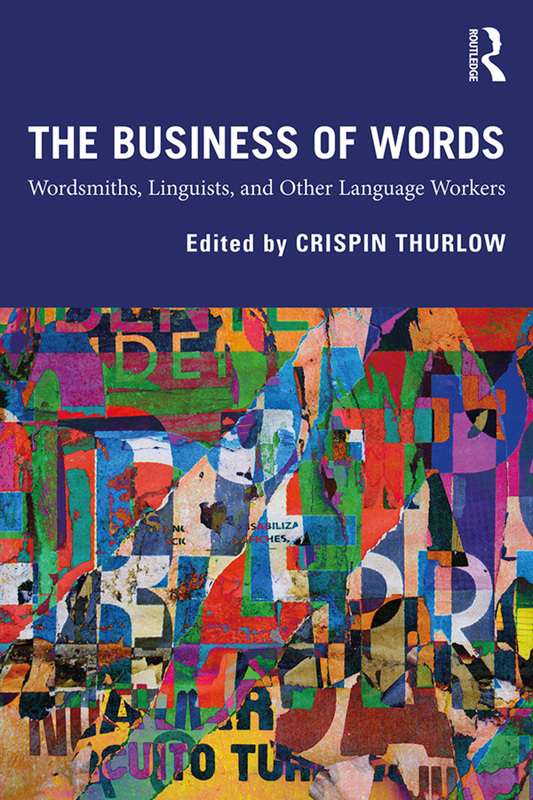 The Business of Words examines the practices of 'high-end' language workers or wordsmiths where we find words being professionally designed, institutionally managed and, inevitably, objectified for status and profit. Aligned with existing work on language and political economy in critical sociolinguistics and discourse studies, the volume offers a novel, complementary insight into the relatively elite practices of language workers such as advertisers, dialect coaches, publishers, judges, translators, public relations officers, fine artists, journalists – and linguists themselves. In fact, the book considers what academics might learn about language from other wordsmiths, opening a space for ‘dialogue’ between those researching language and those who also stake a claim to linguistic expertise and a way with words. Bringing together an array of leading international scholars from the cognate fields of discourse studies, sociolinguistics and linguistic anthropology, this book is an essential resource for researchers,advanced undergraduate and postgraduate students of English Language, Linguistics and Applied Linguistics, Communication and Media Studies, and Anthropology. In 1956, the French philologist Marcel Cohen suggested that language practices could usefully be understood as a form of work. Finally, decades later, we have a volume which takes up this idea seriously, exploring what language work/language as work tells us about questions of value, the social construction of reality, and social inequality in contemporary conditions. You won’t look at a keyboard – or a pen – the same way after you have read this book. This pioneering volume on the production of high-end wordsmithery explores previously unengaged aspects of the political economy of language. In detailed examinations of the work of journalists, PR writers, marketers, linguists, and others, we see their word-craft in ways that clarify their critical and often invisible roles as semiotic brokers. Crispin Thurlow is Professor of Language and Communication at the University of Bern, Switzerland. His research examines the social semiotics of ‘difference’ and inequality in contemporary life, particularly in the contexts of global mobility and digital media. His publications include Elite Discourse: The Rhetorics of Status, Privilege and Power (Routledge, 2018) co-edited with Adam Jaworski.